What we know: Last year, Sony officially said God of War III was for the PS3. Back in February of this year, a Sony teaser ad said God of War III was "coming soon." A job announcement popped up in April was seeking an online game programmer for the team that created God of War and God of War II. 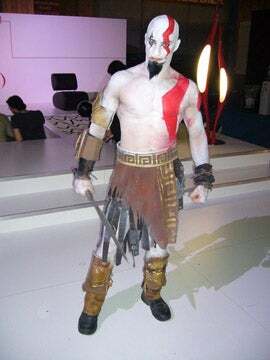 According to a post on game site Eurogamer, Sony will be announcing God of War III for the PS3 at E3. This s unconfirmed, but makes sense! Surely, Sony will want a big AAA exclusive to face off with Gears of War 2 this holiday season. But just because something makes sense doesn't mean it's true.